A year last Christmas we took a trip to San Francisco and followed Route 1 down to LA - stopping at Santa Barbara on the way. We only stayed as an overnight stop before continuing our road trip but I wish we'd scheduled more time to take in this beautiful beach town. Santa Barbara spoke to me, in a way most of California did. The laid back atmosphere, continuous sun and calm waters were idyllic and waking up there is something I will never forget. Before I get into where we stayed in Santa Barbara I feel the need to mention a sea-view cafe we stopped at on our way down the coast road. 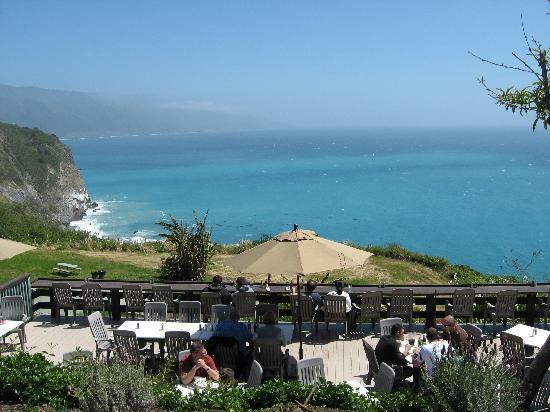 We had the most amazing lunch overlooking the sweeping ocean. The views were uninterrupted and literally stunning to the point where I still think about this place (a lot) almost 2 years later! The Lucia Lodge & Restaurant. 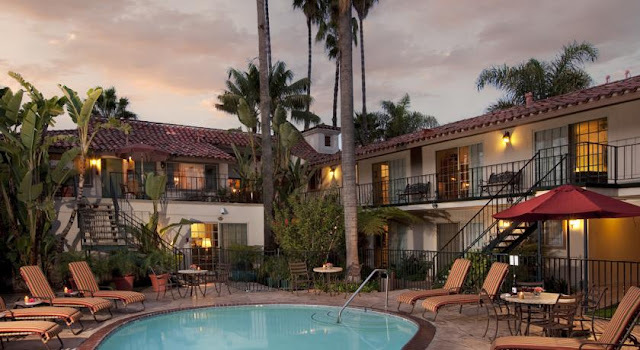 We spent our brief stay at The Harbor View Inn right across from the beach in Santa Barbara. The room was very comfortable with a huge bed (important when you're still suffering from jetlag!) and the view from our balcony was amazing. Unfortunately I only have video footage and didn't take any photos of our room but it was just like the website pictures! We had breakfast before setting off in the cafe attached to the hotel - Eladio's (guests had a percentage off - I think around 10%) and the views were amazing! Another moment that's hard to forget.